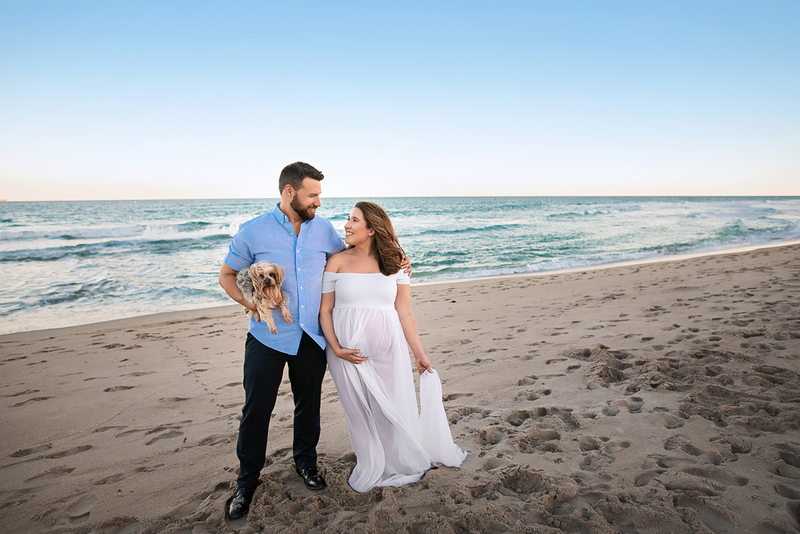 Another gorgeous, sunny day in South Florida with this beautiful couple and their doggy! Mom is glowing and we captured memories that will be cherished forever. So happy they included their little Yorkie she is adorable. How beautiful is Lyka! I mean glowing and flawless! When my studio was all set up and there was some free time, I ran outside and got some red leaves in my neighbors front yard. Those were perfect for the Sew Trendy burgundy gown and we tried something new with studio set up. She was a natural in front of the camera and a beauty in every dress she had on. Henry helped me with throwing the dress since my assistant wasn't available that day and he did awesome job, super fun session! Thank you for booking us and hope to see you guys again! This gorgeous mom was in my studio with her husband, son and sisters. I just couldn't stop shooting, such a natural model and so fun to work with! 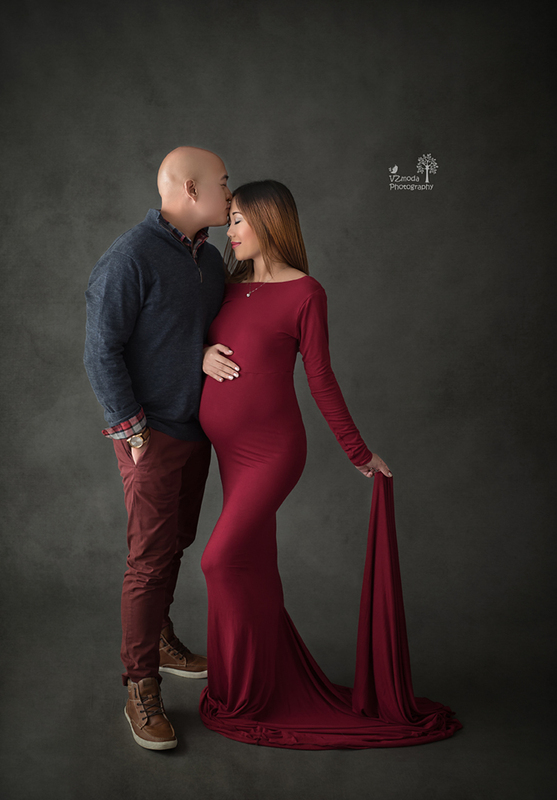 VZmoda Photography offers a collection of maternity gowns and this client also brought few of her own outfits which were beautiful. Big brother had fun capturing memories of such an important time in this family's life. 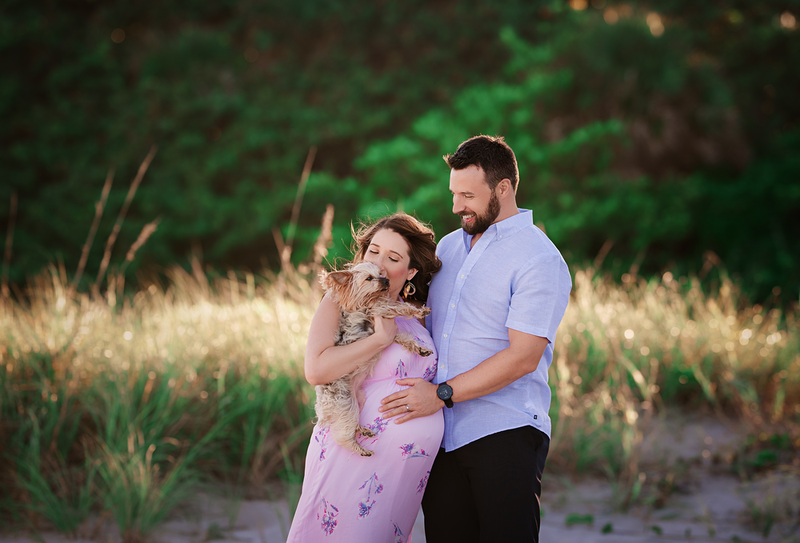 Hope you enjoy this gallery as much as I do and if you're interested in booking us for maternity, family or newborn photography please contact us!